Merchandise train H-IHBGAL1-05A rumbles west through Williamsfield. 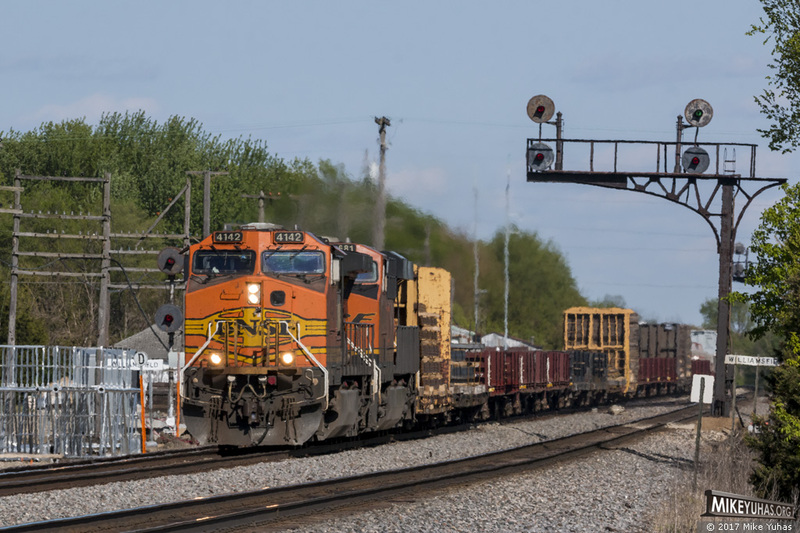 This train originated at the Indiana Harbor Belt and will terminate at Galesburg, and it's one of the few non-intermodal trains now seen on BNSF's Transcon. The searchlight signals on the traditional Santa Fe cantilever signal bridge still protect the interlocking, but the shiny new structure on the ground at left suggest their days are numbered.